From VA 322's viewpoint at its south end. VA 322 serves Eastern State Hospital. Photo by Mapmikey, taken October 18, 2005. From VA 322's viewpoint at its north end at SR 612. VA 322 also covers crossroads within the facility, but does have a main entrance and exit which are its endpoints. Photo by Mapmikey, taken October 18, 2005. From VA 322's viewpoint leaving its north end at SR 612. 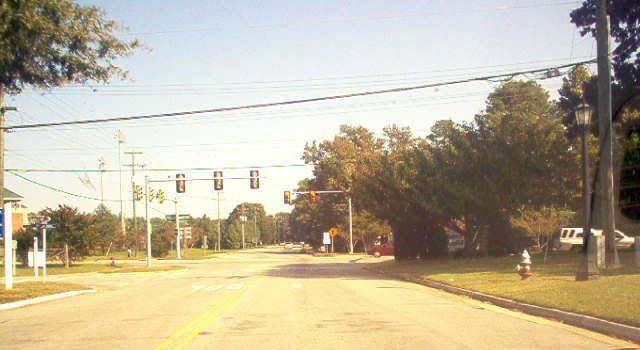 VA 322 is posted at SR 615 which slices through the hospital about 1/4 mile ahead (separate from VA 322's south end). Photo by Mapmikey, taken October 18, 2005.